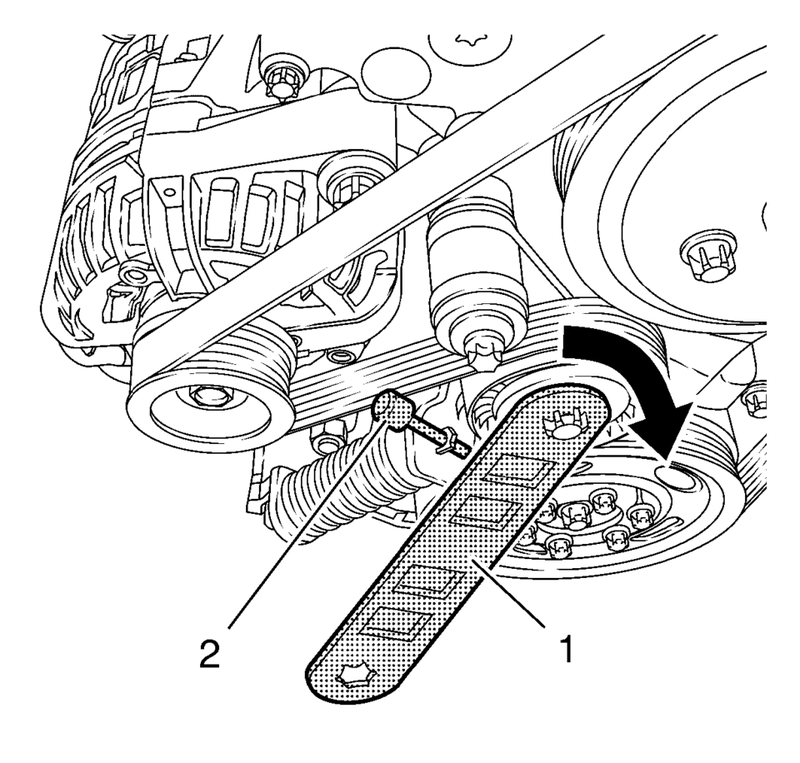 Install EN-48488 wrench (1) to the drive belt tensioner. The drive belt tensioner must always be in a pre-tensioned state. Move the drive belt tensioner clockwise until the drive belt tensioner can be fixed with the EN-955?E0 locking pin (2).